We had a very grey, icy weekend. After hibernating most of Saturday, hubby and I spent Sunday afternoon taking in a movie (Sherlock Holmes: A Game of Shadows is great, by the way), shopping and running a few errands to prepare for the week. 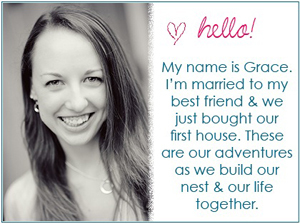 By the time we got back home I was so cold and ready to warm up in some cuddly clothes and some kind of hot tasty soup. 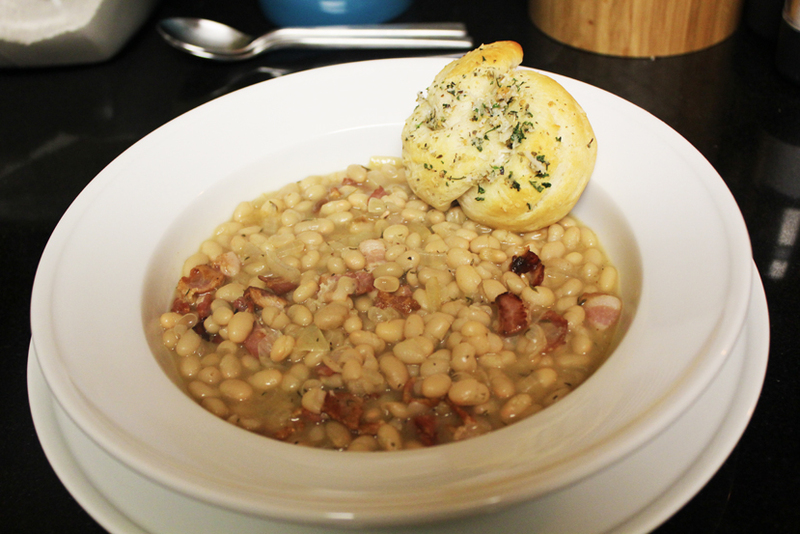 I decided to whip up a yummy white bean, bacon soup and tried my hand at making cheesy garlic knots. Whatcha think? 1. Dice up your bacon and toss in a pan on medium heat until crisp. 2. 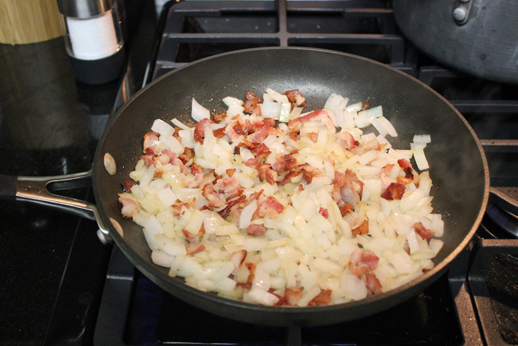 Add your diced onions to the bacon and cook until they become tender and slightly transparent. 3. 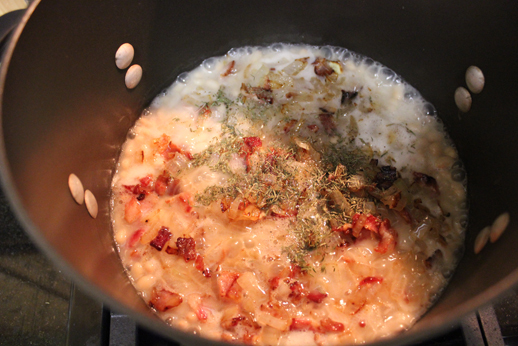 In a large pot, pour in your beans and let simmer. 4. Add onions and bacon. 5. Add herbs of your choice. I used approx. 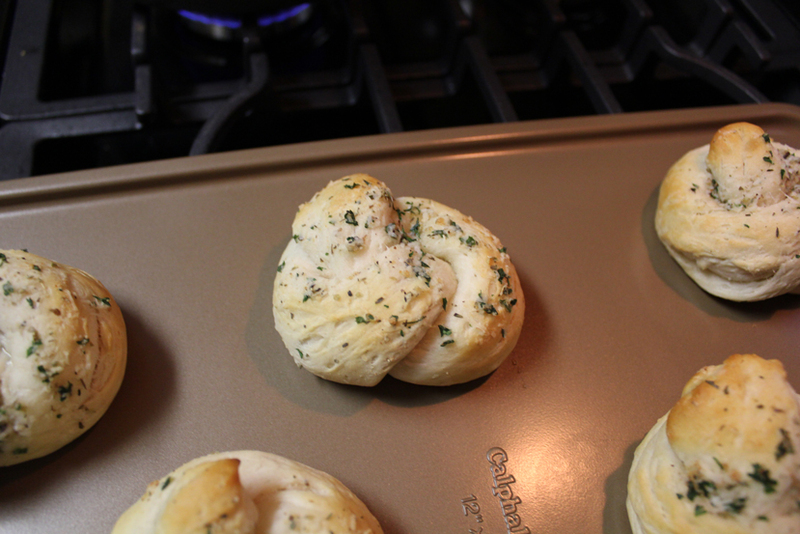 1 Tbsp of dried thyme, a pinch of dried oregano and lots of ground black pepper. 6. Add your chicken stock and stir to combine all ingredients. 7. Cover and let simmer on medium-low heat for 10-15 minutes. 1. Roll each biscuit into a 12-inch rope and tie into a knot; tuck ends under. Here I combined the remaining ingredients and stuffed about half of the mixture in to the crevices of the knots so the flavors would bake in. 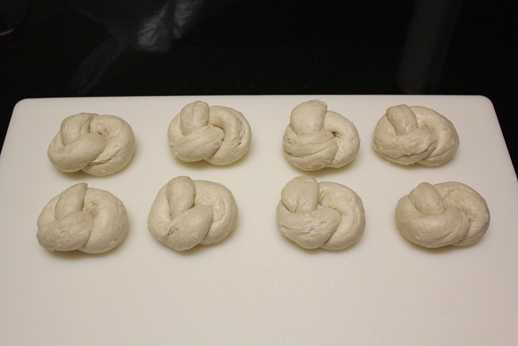 Next time I think I will roll the dough in the mixture before tying into knots. 2. Place 2 inches apart on a greased baking sheet. 4. Brush remaining mixture over warm knots.